Within her quickly written 1941 Synopsis, Madame Anna Guérin wrote about her work relating to the adoption of her idea of an ‘Inter-Allied Poppy Day’ scheme. She mentioned that she had organised Canada “(with 2 of my ladies)”. Those two ladies being Anna’s sister Juliette Boulle and Anna’s friend Blanche Berneron. To date, this one sentence is the only reference discovered connecting Madame Guérin, the ‘Poppy Lady of France’, to South Africa … via Colonel Moffat. The only reference to how the poppy, as a remembrance emblem, may have been introduced to South Africa. It is believed that Colonel Moffat made a rendezvous with South African First World War veterans if/when his ship ‘Aeneas’ stopped at Durban (Port Natal) or Cape Town en route from Melbourne, to Liverpool. With reference to the origin of the Armistice Day’s two minute silence, the following extract is taken from ‘THE LEGEND OF THE POPPY’ by Ken Gillings, Pinetown, KwaZulu-Natal, 26th October 2015. “Sir Percy Fitzpatrick” was Sir James Percy Fitzpatrick, KCMG. He was born on 24 July 1862 in King William’s Town, Cape Colony (South Africa). 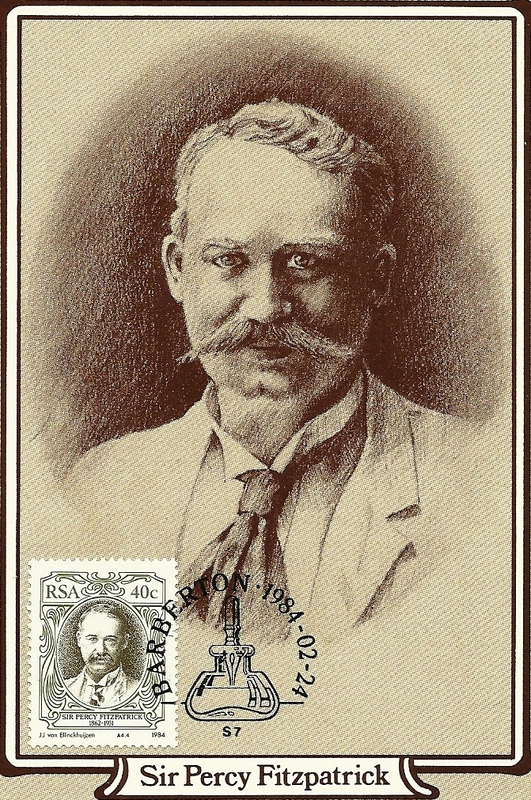 Sir James Percy Fitzpatrick died 24 January 1931 at (Amanzi), Uitenhage, South Africa. His Irish-born parents were Judge James Coleman Fitzpatrick (of the Supreme Court of the Cape Colony) and Jenny FitzGerald (daughter of Peter Nugent Fitzgerald, of ‘Soho House’, Multyfarnham, County Westmeath). During World War One, Sir Percy Fitzpatrick toured South Africa, lecturing about the war. His son Major Percy Nugent Fitzpatrick was killed at Bourlon Wood, nr Cambrai, Pas de Calais, France on 14 December 1917. After the Armistice, apart from the two-minute-silence, he conceived the idea of the National South African War Memorial at Delville Wood, Somme, France and he was Committee Chairman for it. South Africa’s Sir Percy Fitzpatrick : Two Minute Silence. Courtesy of Heather Anne Johnson. In the same way that I credit Sir Percy Fitzpatrick, with his place in the ‘Remembrance Day’ custom of observing the two minute silence, I must also credit an Australian with his part. Australia-born Edward George Honey (1885-1922) was working at the Evening News in London in 1919 – he found that year’s Armistice Day to be more of a celebration, rather than a commemoration. Under the name of “Warren Foster”, he wrote suggesting “five minutes of bitter-sweet silence” for “national remembrance”. His idea fell on deaf ears but, then, Sir Percy Fitzpatrick suggested his concept – as detailed above. Edward G. Honey’s part in this concept is widely acknowledged because he was personally invited to attend a private rehearsal at Buckingham Palace … at which, it was decided that five minutes was too long. The resulting proclamation given by King George was: “… at the hour when the Armistice came into force, the 11th hour of the 11th day of the 11th month, there may be for the brief space of two minutes a complete suspension of all our normal activities… so that in perfect stillness, the thoughts of everyone may be concentrated on reverent remembrance…”. See https://sjmc.gov.au/the-australian-origins-of-a-minutes-silence/ for more information about Australian Edward Honey. 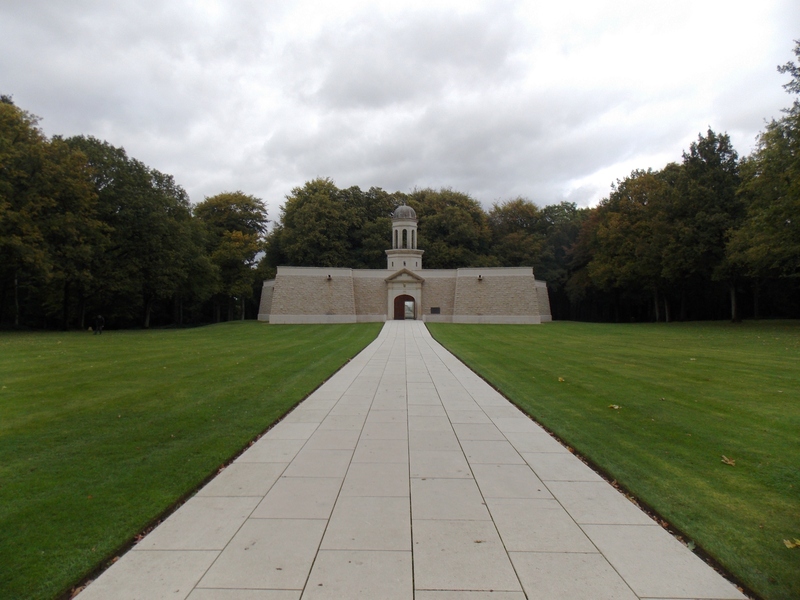 Front façade : Delville Wood South African National Memorial, Longueval, Somme. Courtesy of Heather Anne Johnson. 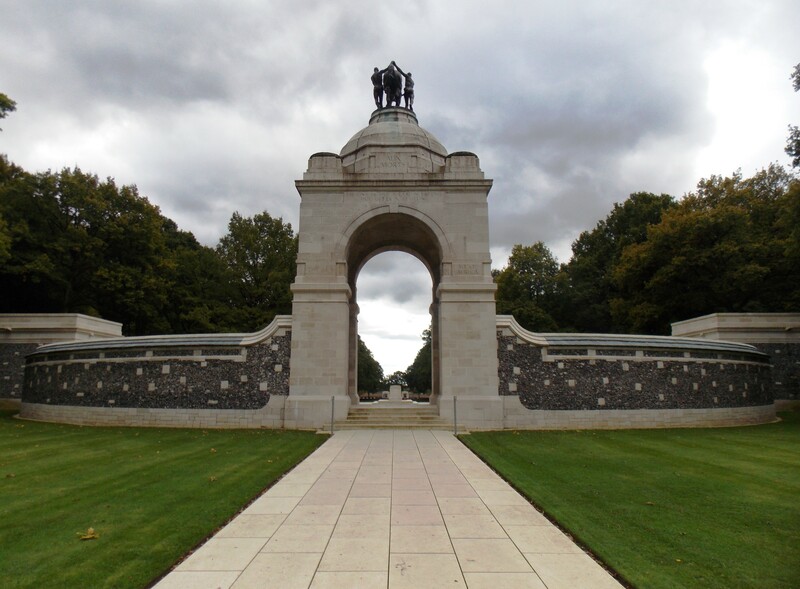 Entrance to Delville Wood South African National Memorial, Longueval, Somme, France. Courtesy of Heather Anne Johnson. 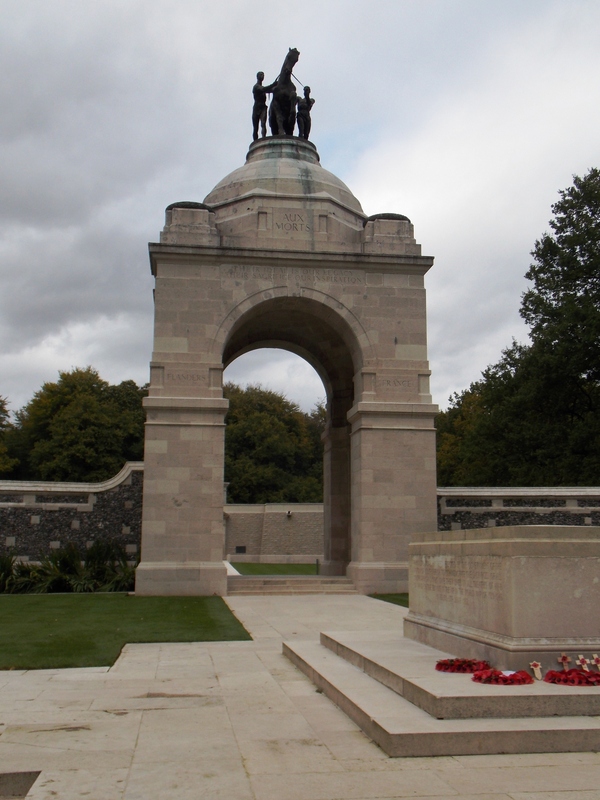 Entrance & Stone of Remembrance : Delville Wood South African National Memorial. Courtesy of Heather Anne Johnson. Museum at Delville Wood South African National Memorial, Longueval, Somme, France. Courtesy of Heather Anne Johnson.